HOMEPrivate healthcare – just a perk for the privileged? Private healthcare – just a perk for the privileged? 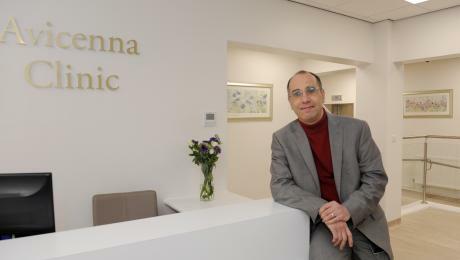 With just over three weeks to go until the general election, the founder of a new private clinic in Peterborough has stepped into the debate about the relationship between private healthcare and the NHS. Hany Elmadbouh, lead consultant and radiologist at recently opened private healthcare facility Avicenna Clinic, comments: “There is much debate and discussion around the promises and manifestos being pushed by our potential new leaders. Unsurprisingly, the battle around the privatisation of many of our public services has reared its head again. And, at a time when the NHS is under increasing pressure from a lack of funding and resource, as well as an increase in demand for its services, emotions are running high for many. “As is generally the case around these political times, the gap between the ‘haves’ and ‘have nots’ becomes more obvious and, thanks to social media, they are aired with greater passion and freedom than before. Private healthcare in particular comes under greater scrutiny as patients are able to receive treatment far quicker than those on NHS waiting lists. Inevitably, this raises questions and concerns around the speed with which those who can’t afford private treatment get seen. Speaking more specifically, Elmadbouh goes on to explain that back pain in particular is an area where his clinic is delivering more choice in the Eastern region. “Back pain is the largest single cause of pain in the UK, with lower back pain alone accounting for 11 per cent of the total disability of the UK population. The NHS in England spends £200 million each year on spinal surgery and there are currently approximately 10,000 adult patients each year that have non-emergency spinal surgery. Referrals for spinal surgery are increasing year on year and a growing number of patients are waiting longer than 18 weeks from referral to treatment. “This has a significant impact on UK employers who lose many million sick days per year as employees are unable to work. It’s a big problem that is only getting worse. It’s one of the reasons why we’ve seen such an increase in the number of patients who use their insurance to seek treatment or, in some cases, opt to pay for treatment themselves. Currently, Avicenna Clinic is the only clinic in the region to have an Open MRI scanner which allows scans to be done on an open, flat, bed rather than the confined ‘tunnel-like’ scanning area of conventional MRI machines. This is particularly useful for patients who suffer from claustrophobia or obesity. The consultants practising at Avicenna Clinic in North Street, Peterborough offer a range of specialisms such as minimally invasive surgery, diagnostics and testing. Leaders in their fields, they all appear on the General Medical Council (GMC) Specialist Register.